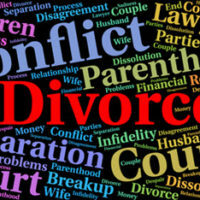 Aside from child custody, one of the most contentious aspects of divorce involves dividing the marital assets. Deciding who gets to keep what usually brings about one of the biggest fights. Even in cases where the spouses are on decent terms, trying to figure out how to fairly divide assets can be complex and emotionally draining. One of the most important protections in a divorce is not to go at it alone. Having a Florida divorce attorney on your side isn’t about who can be more aggressive, it’s to help streamline the process and help both sides reach an amicable agreement. Like many other states, Florida follows the rule of equitable distribution. This means that property is divided by the courts in a manner which is fair and equitable. It does not mean everything it just split down the middle, like it is in a community property state. If you and your soon-to-be ex cannot reach an agreement on your own, this is the method the courts will use to decide. You just need to always keep in mind that equitable does not automatically mean an equal split. Courts have the authority to divide property in an uneven manner because it’s the equitable thing to do. Courts look at a variety of factors, including the earning contributions of each spouse, which does takes into account the value of the spouse who did not work outside the home in order to raise the children. Before making a decision on how assets are divided, the court has to determine what is marital property and what is separate property. Some couples are shocked to find out something they assumed was separate property is actually considered marital property under Florida law, and vice versa. If non-marital property that was brought into the marriage was co-mingled with marital property, you may find the courts will determine that it is now marital property. An example of marital property is a car that is purchased by only one spouse with money earned from his or her own job after the marriage. That car is now marital property. Another example is a bank account one spouse had before the marriage. Money from that account was used to purchase the marital home which is titled in both names. The courts will determine that the money in the house is now marital property. Under the law, if you have a non-marital asset that increases in value during the marriage, it is, at least in part, now marital property. Retirement funds, pensions, etc., can become partial marital property. Absent any type of marital agreement, like a prenuptial agreement, the courts will use the equitable distribution rule when deciding how to divide assets during your divorce. Rarely is the asset distribution phase simple. Many couples have more complex portfolios than they realize, which is why both sides can benefit from retaining their own Boca Raton divorce attorney. If you have questions about marital property, and/or need assistance with your own Florida divorce, contact the Law Offices of Schwartz | White today to schedule a consultation.